Neopol Car Shampoo Plus is a powerful blend of detergents, which easily remove oil, grease & road grime, leaving a streak-free, high gloss, brilliant shine. 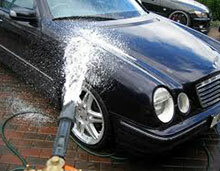 Neopol Car Shampoo Plus that does not damage paintwork, wax layers or rubber components. Its gloss-enhancing action ensures a shiny, streak-free finish. 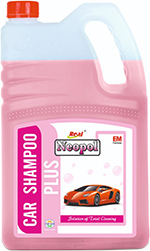 Neopol Car Shampoo Plus concentrated car shampoo is suitable for cleaning by hand or using a high pressure spray, in combination with a brush. This product can also be used in mechanical car wash facilities. Add 25ml of Car shampoo pluse in a bucket of water and apply it on the car and after some time wash with a sponge to give a everlasting shine and gloss to your Car. Its basically a lavish spa for your automobile. Our range can also be used on all kinds of painted surfaces like scooters, refrigerators, painted doors and walls.